Lately I've been obsessed with quilts. Maybe it's cause it's warming up and I have been wanting to make a good picnic quilt. 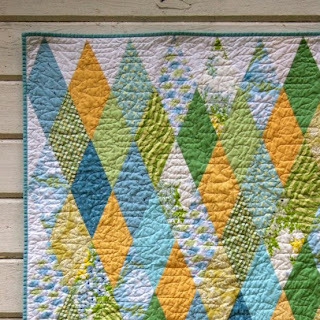 Or maybe because a lot of my friends are having babies and I can't wait to make a crib quilt for my someday baby. Or maybe because Natalie has gotten me obsessed with vintage sheets. Or maybe because I search for quilts almost everyday on Pinterest. Or maybe because my Mom instilled a deep love for fabric & quilts in me from a young age. Hmmm...or maybe a combination of all of those, plus some others. 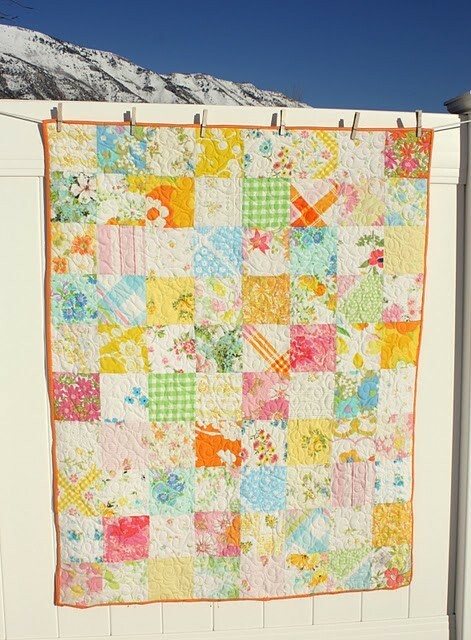 Film in the Fridge is by far my favorite blog for quilts. She has such great taste in color and fabric. Plus she just had the most adorable little baby that now appears in many posts-so fun! 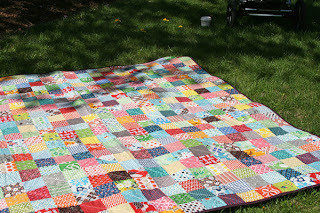 Just a few on my list I want to make- houndstooth quilt, diamond quilt, chevron quilt, patchwork picnic quilt, pinwheel quilt, & snowball quilt. HA! I do have fabric already for the patchwork one, so I guess I'll start there. Check out Natalie's blog...she's giving away a free photo session!